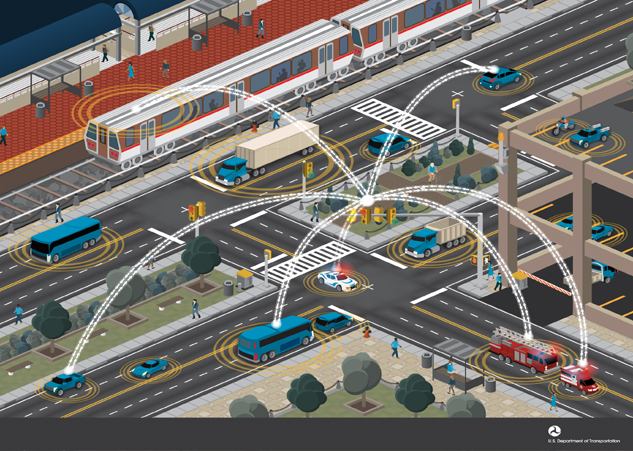 U.S. Transportation Secretary Anthony Foxx announced new Federal Highway Administration (FHWA) Vehicle-to-Infrastructure (V2I) guidance that can improve safety and mobility by accelerating the deployment of V2I communication systems. The guidance complements the Department’s efforts to reduce crashes by advancing vehicle-to-vehicle (V2V) communication technology announced in a proposed rule in December. FHWA developed the V2I Guidance to assist transportation system owners/operators as they deploy V2I technology. The guidance can help transportation agencies and tollway authorities understand what a decision to deploy V2I technology could mean to their region, prepare for emerging V2I and V2V technologies, and leverage federal-aid funds to deploy them.